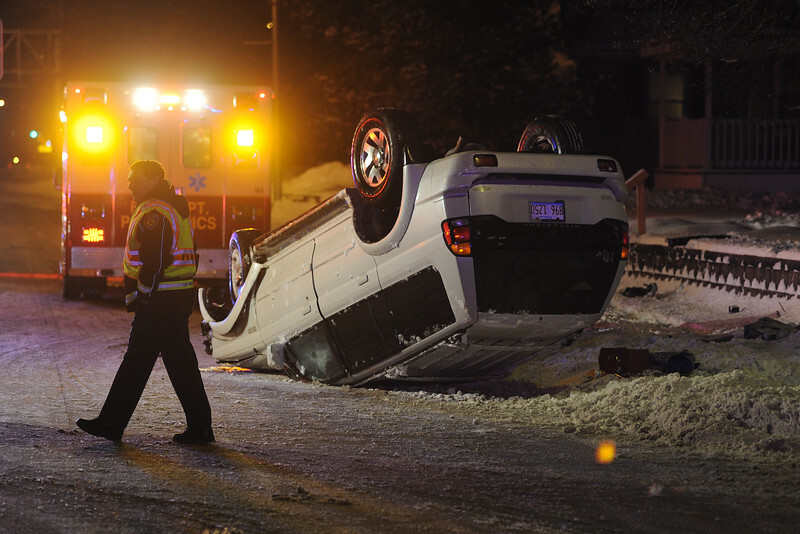 A Moline firefighter walks past an upside-down SUV on Avenue of the Cities near its intersection with 25th Street. The sole occupant of the SUV was taken to the hospital by ambulance. The SUV was westbound on Avenue of the Cities and slid off the road on a curve, breaking a fire hydrant and running into a retaining wall along the north side of the street before flipping over shortly after 7 p.m. Monday, Feb. 17, 2014.